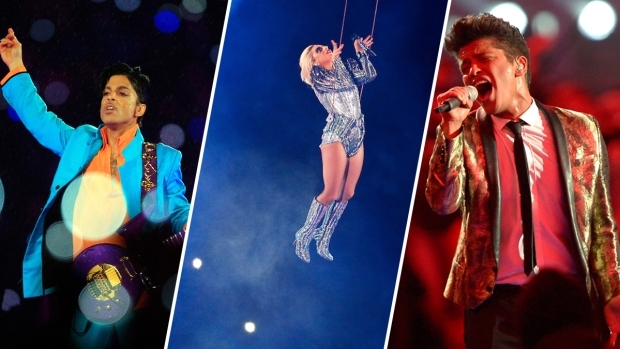 Americans will shell out $4.2 billion in bets for Super Bowl 50, according to the American Gaming Association. Dedicated gamblers may predict whether the Denver Broncos or the Carolina Panthers will win the coveted Vince Lombardi Trophy based on a deep analysis of each team’s strengths and weaknesses, with careful consideration of the point spread. But a few may take a chance on Buffet and Hugh's picks. 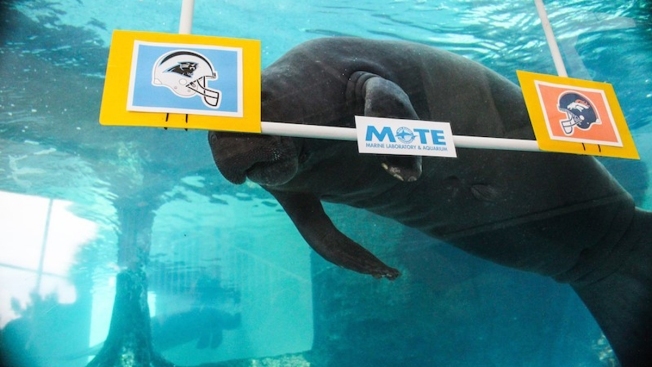 The resident manatees at the Mote Marine Laboratory and Aquarium in Sarasota, Florida, have been making Super Bowl predictions for the last nine years, with Buffet accurately guessing seven of the last eight Super Bowl champions, according to the aquarium. A PVC pipe with a photo of each of the teams competing in the Super Bowl is placed in the exhibit with Hugh and Buffet, Manatee Research Supervisor Kat Boerner says. “Much like their target training, which revolves around research husbandry behaviors to help facilitate veterinary care, the manatees touch either side of the PVC structure to choose which team they think will win in the Super Bowl,” Boerner added. On Thursday morning, in a split decision, the duo selected their choices. Buffet made a b-line to the Denver Broncos sign, while Hugh swam towards the Carolina Panthers. Will Buffet maintain his title of unerring predictions? Tune in to CBS at 6:30 p.m. ET on Sunday when the the Broncos and Panthers face-off at Levi's Stadium in Santa Clara, California, to find out.